RCom said it would repay lenders an additional Rs 10,000 crore through the sale and commercial development of its real estate near Mumbai and in eight other cities. Debt-laden telecoms company Reliance Communications (RCom) has agreed a new debt repayment plan with lenders, including a pledge to raise up to Rs 17,000 crore ($2.6 billion) by selling assets such as mobile towers, it said on Monday. 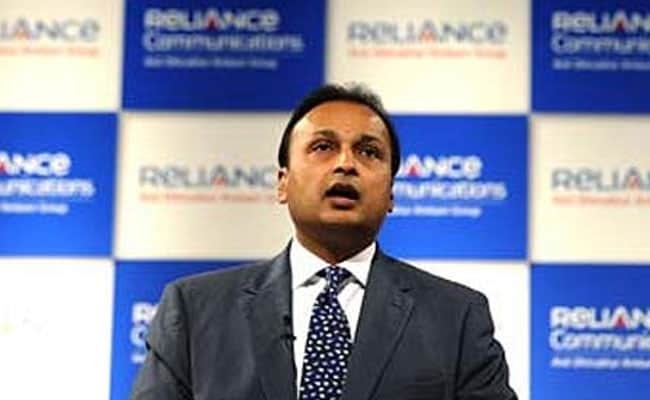 RCom, the company led by billionaire Anil Ambani, also said it would repay lenders an additional Rs 10,000 crore through the sale and commercial development of its real estate near Mumbai and in eight other cities. The announcement comes after the unravelling of its previous debt repayment plan, which had hinged on merging its mobile operations with rival Aircel and selling a 51 per cent stake in its tower arm to Canada's Brookfield. However, the Aircel merger was called off on October 1 over what RCom called regulatory delays and legal uncertainties, forcing it to renegotiate a plan to sell its tower unit to Brookfield for Rs 11,000 crore as the tower assets had to be revalued. RCom's shares have tumbled 18 per cent to a series of record lows since the Aircel merger was called off, adding urgency for the company to come up with a new debt repayment plan. RCom executives on Monday said talks with Brookfield were still going on, with the Canadian company open to buying the entire tower mobile business, though noting there were other suitors as well. RCom executive director Punit Garg said the lenders had agreed to the new debt repayment plan, which will spare creditors any write-offs. The deals will be completed by the end of March, he added. "The lenders were very, very comfortable looking at the conservative management estimate of monetising these assets worth (Rs 17,000 crore)," Mr Garg told reporters. "What we have presented is a zero write-off plan (to the lenders). They were so happy and thrilled." There was no immediate comment from the lenders, led by State Bank of India. Monday's plan also involves lenders swapping about Rs 7,000 crore worth of debt for a 51 per cent stake in the company. RCom will retain about Rs 6,000 crore in debt after the repayment plans go through. RCom, with Rs 44,300 crore ($6.8 billion) of net debt as of March is the most leveraged among listed Indian telecom companies. The debt load has spooked investors, sending RCom's shares tumbling this year amid worries about whether it could pay back creditors at a time when profits across the telecom sector are slumping due to stiff competition sparked by the entry of start-up Jio, led by Anil Ambani's older brother Mukesh Ambani. Jio, owned by Reliance Industries, is also among potential suitors for some of RCom's assets, Mr Garg said, without elaborating. RCom is in the midst of scaling down its wireless business in India and plans to focus on catering to corporate customers.